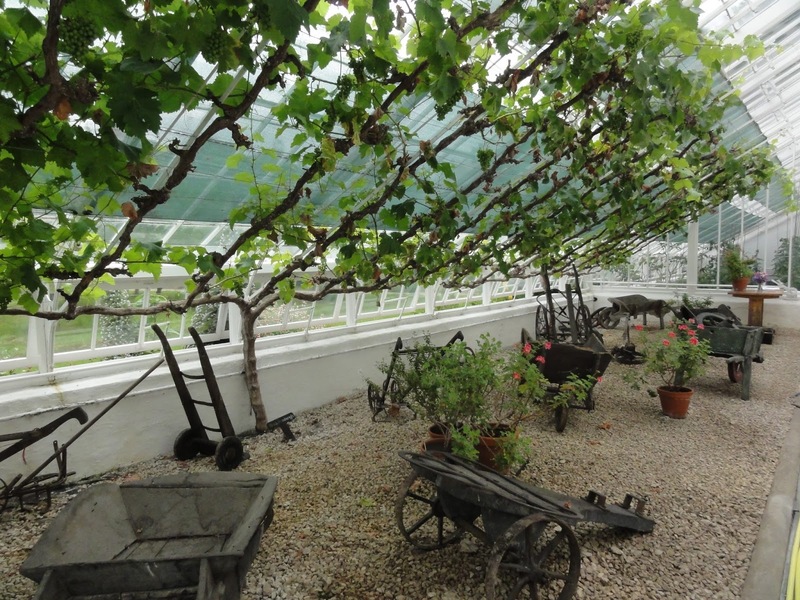 The most wonderful grapevine ever, growing in the greenhouse. Plus old gardening related tools. 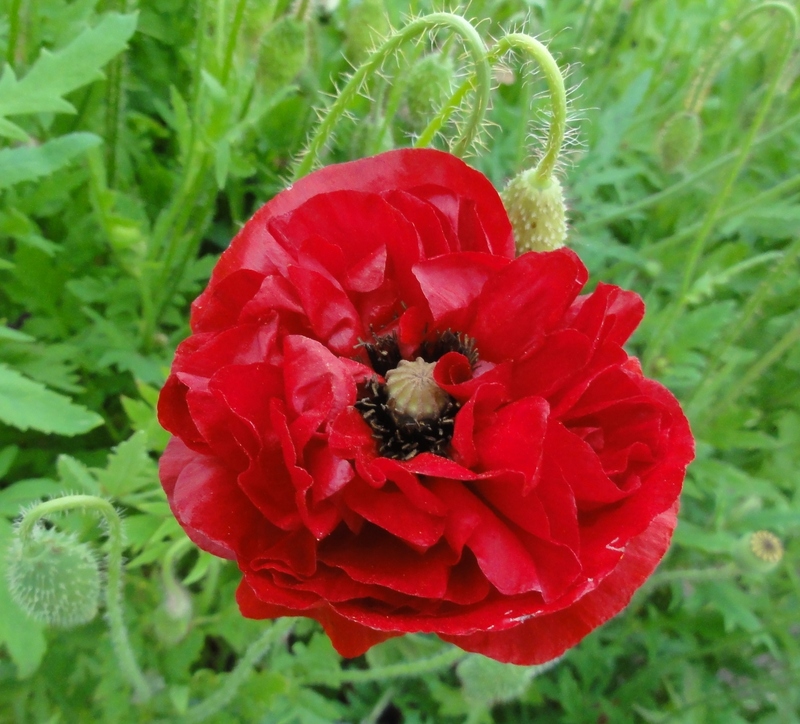 Double red poppy. Pretty, but harder for the bees? 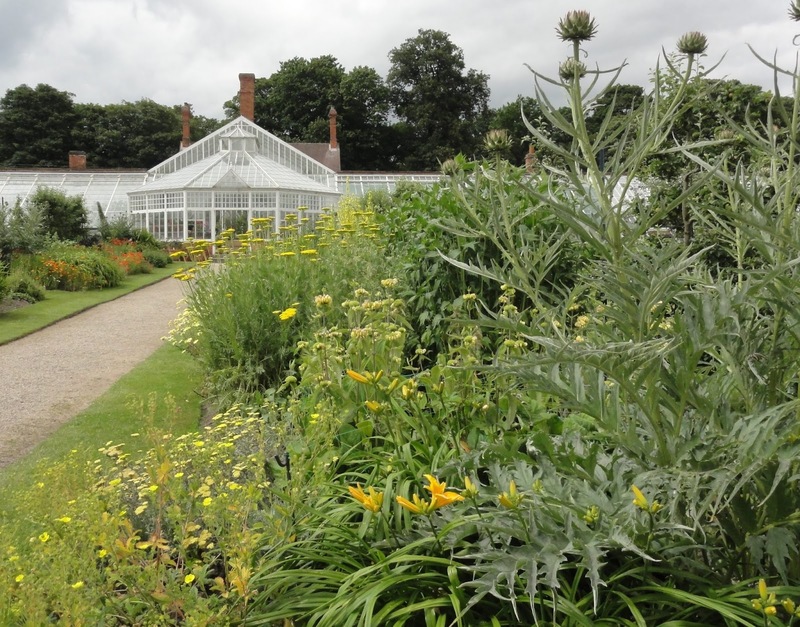 Exotic planting next to the greenhouse. And what is that phallic plant?! It really does make a statement. Not sure what kind of a statement though. Phallic plant, close up of flowers. Mmmmm, more food growing. And arse end of the scarecrow! 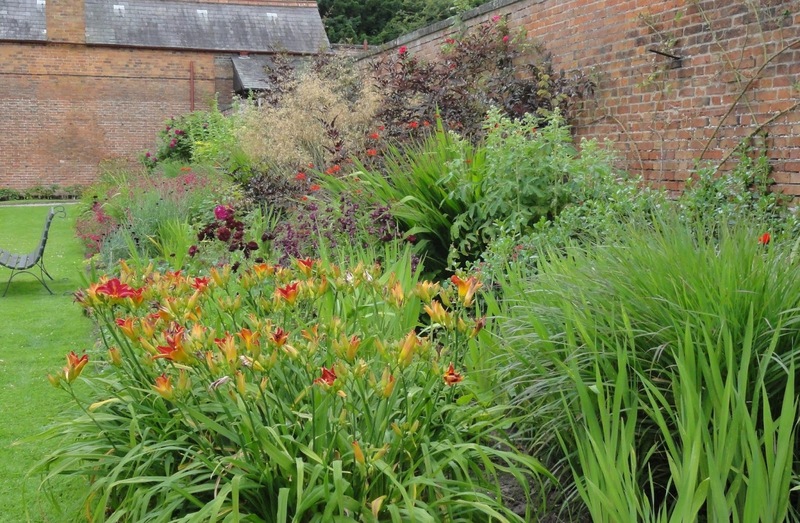 Loved the mixing of reds, purples, pinks and yellows in this border. 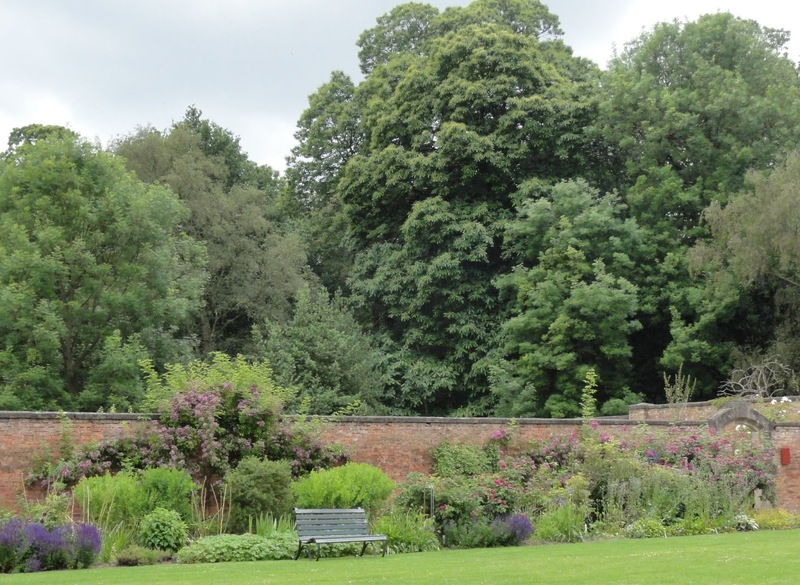 I loved the trees as a backdrop to the planting in this section of the garden. I thought they looked really majestic. 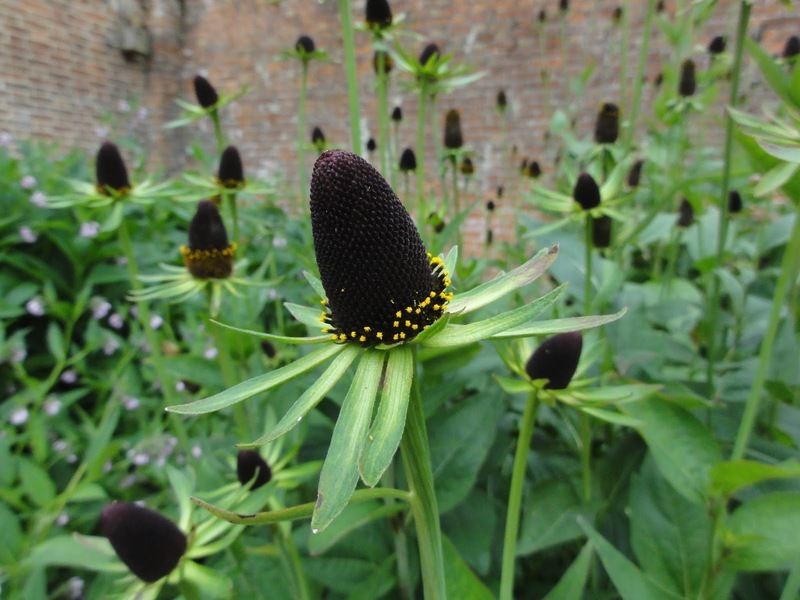 I gave my heart to this Rudbeckia, 'green wizard' I believe. Above & below: rubarb, rubarb rubarb (blah blah blah). Plus cute cow. 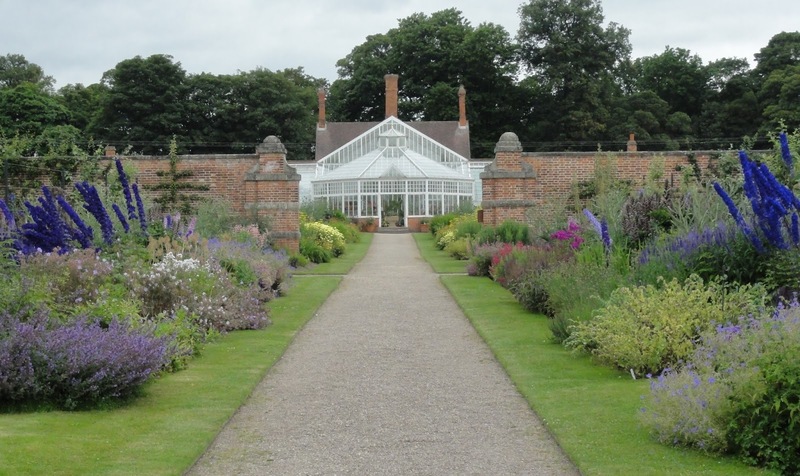 A fine walled kitchen garden, tis Clumber Park. 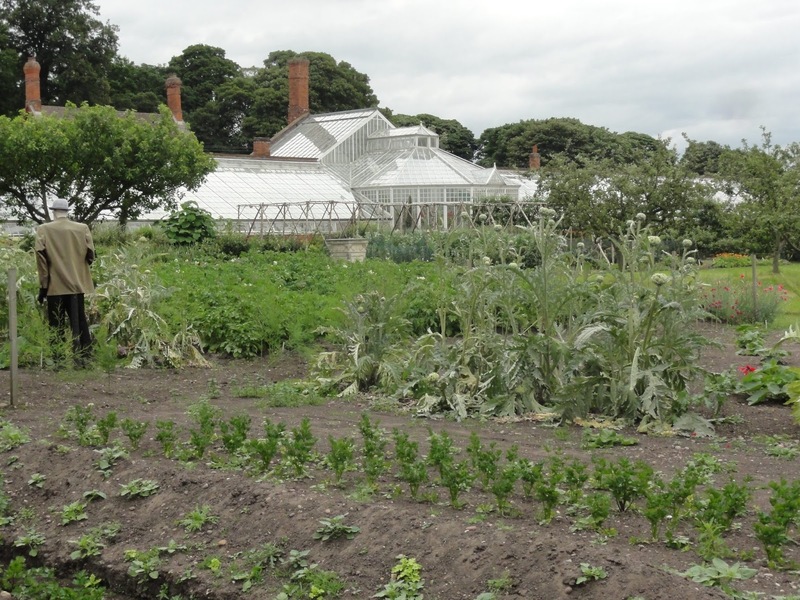 There's an awful lot of work gone into that garden, but doesn't it show! 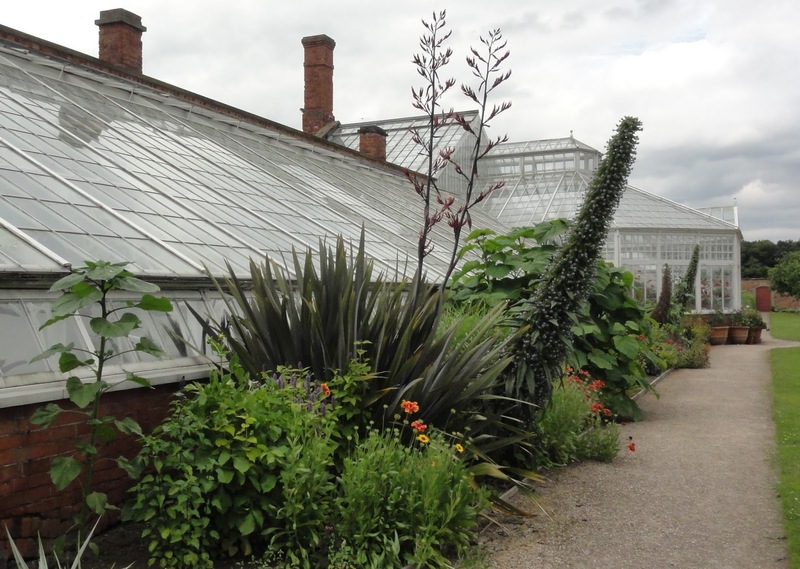 The phallic looking plant is an Echium, there are a lot of them down here in the South West. I want to try it when I can find the space. Love that Rudbeckia too. The hard work behind it doesn't show at all. 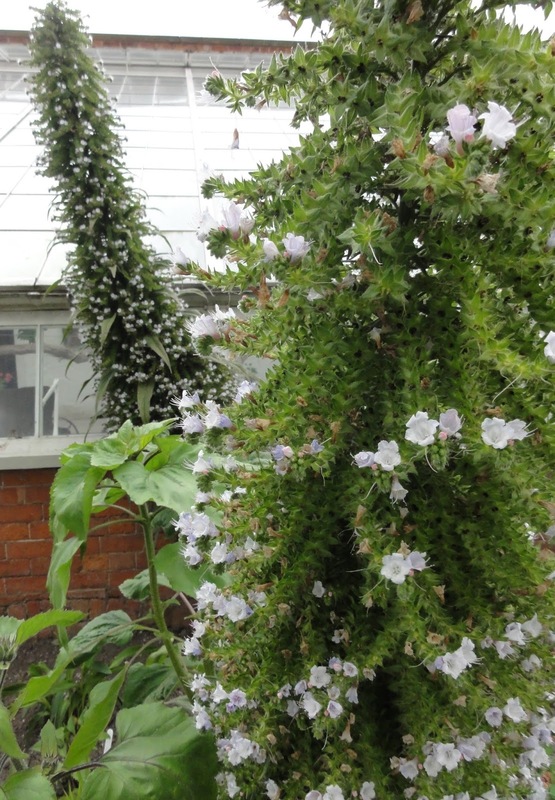 So phallic-Echium it is - thanks for informing me. I had no idea they were so large, but then I've never seen one until now. 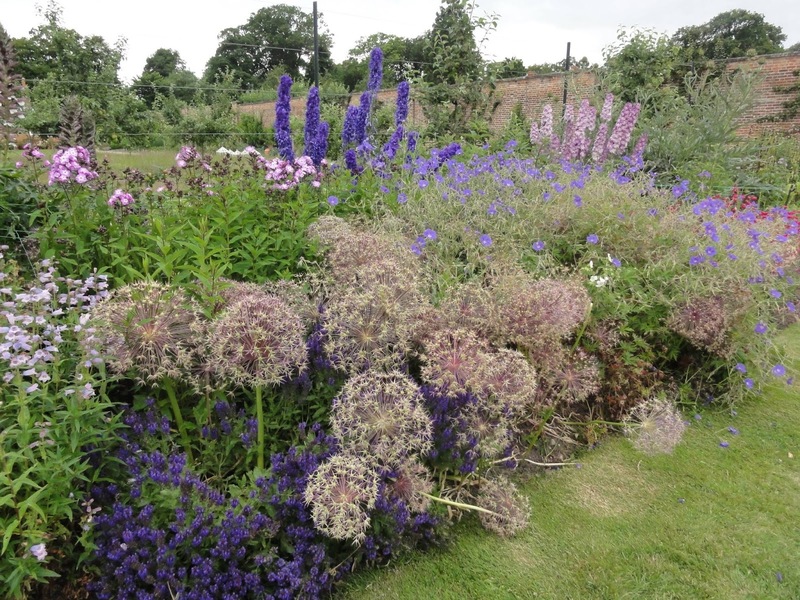 Yes, an Echium it is, lots here in Devon and Cornwall, but you need to be frost free to grow them. I think there is still plenty of pollen for the bees in the red poppy, still plenty of stamens for them to wallow around in! 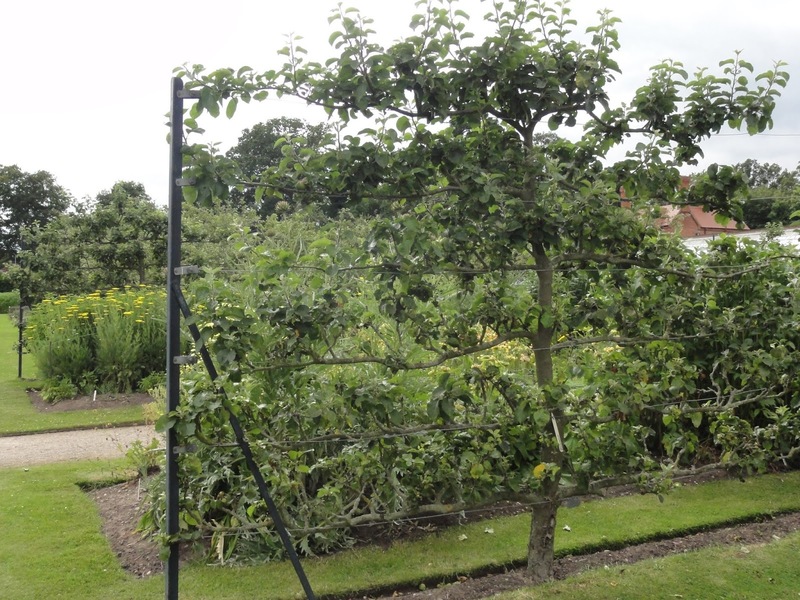 What a super garden you went to, the long borders were so neat and tidy, obviously lots of work to keep it so pristine. 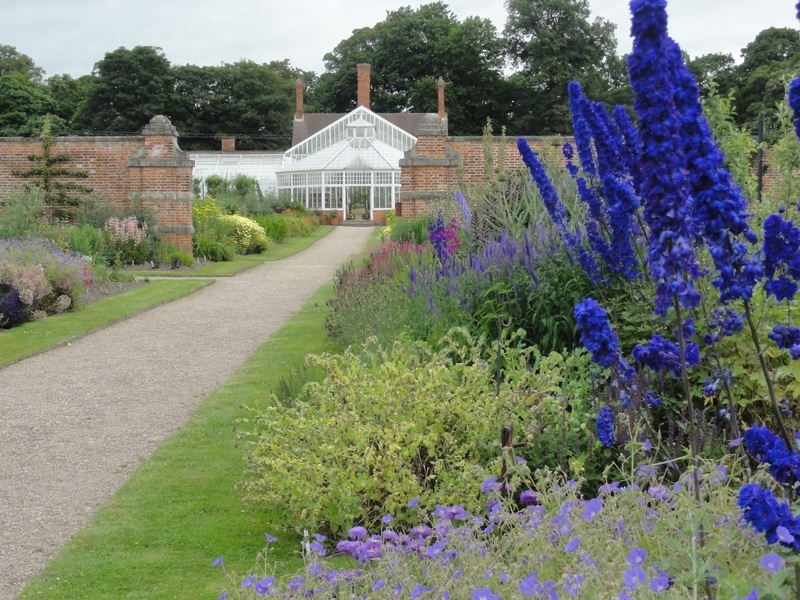 Pauline: that's interesting about Echium's needing to be frost free. 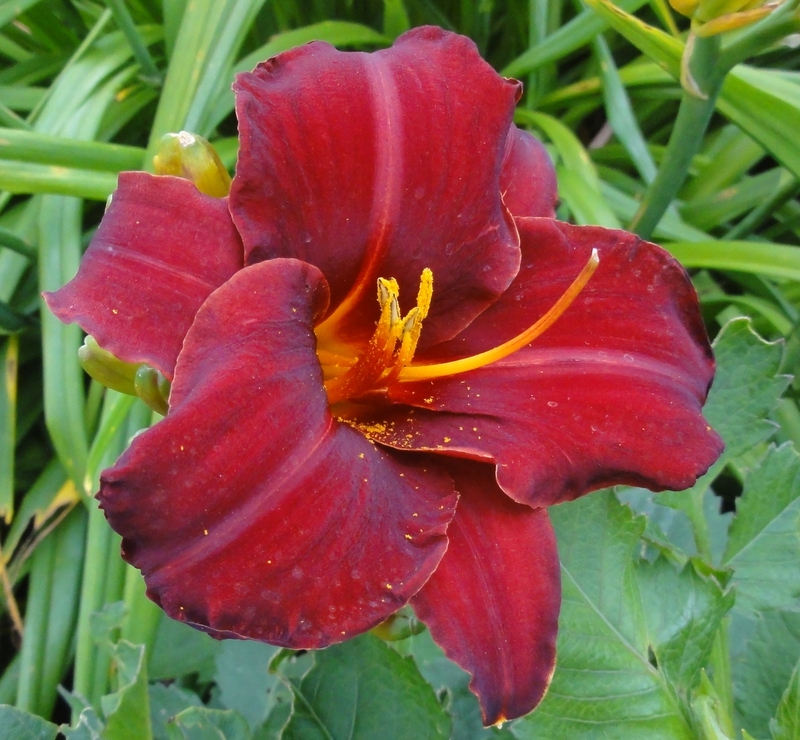 They are growing these on the Notts/S.Yorks border, and I'm sure that gets plenty of frost. 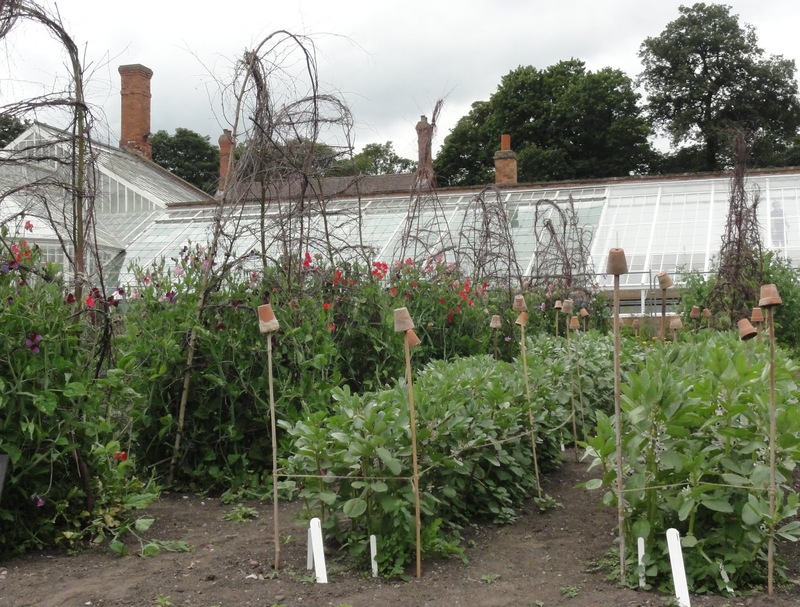 Maybe growing them next to the greenhouse gives protection? Re the poppy, that's just what bees like to do in them, wallow. I love watching them do that, like they are on a high or something! 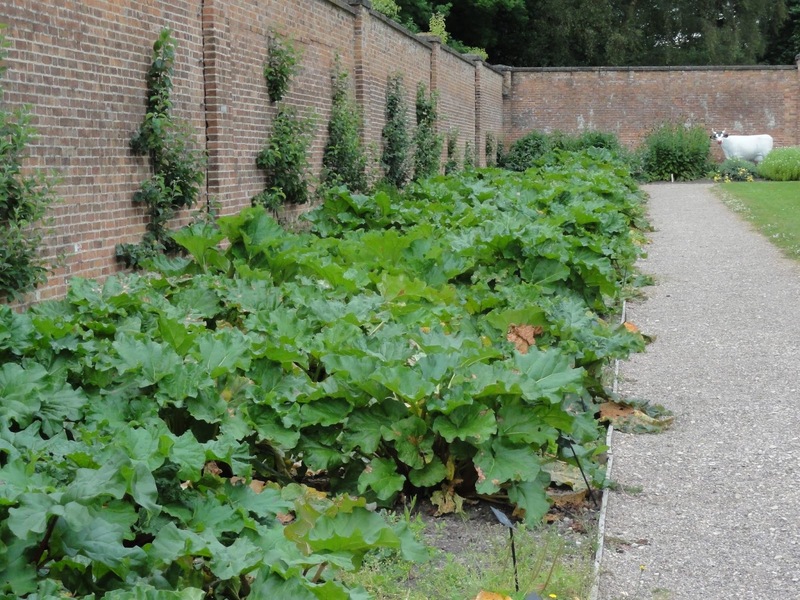 Janet: walled gardens are hard to resist. 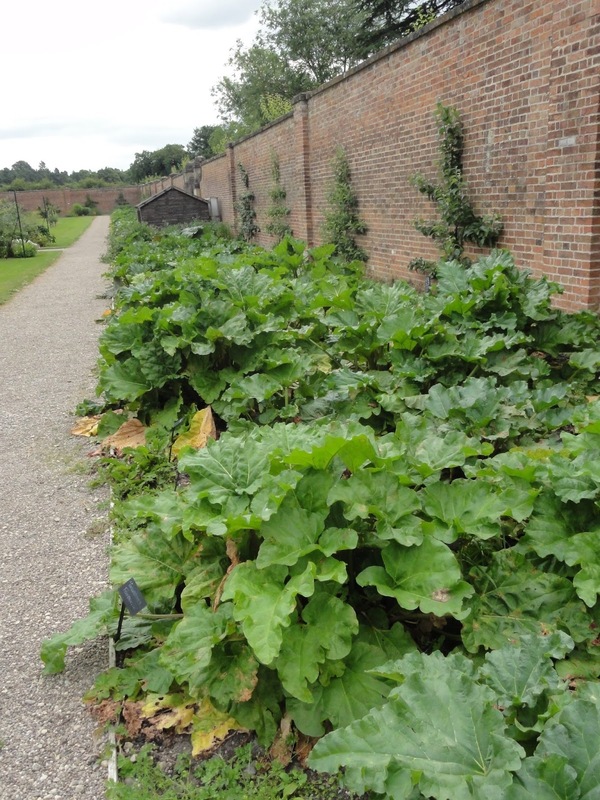 I think Clumber Park Walled Garden holds a national collection of rhubarb. I wonder if they sell rhubarb crumble in the cafe? mmmm (cafe was closed for refurb when we visited). 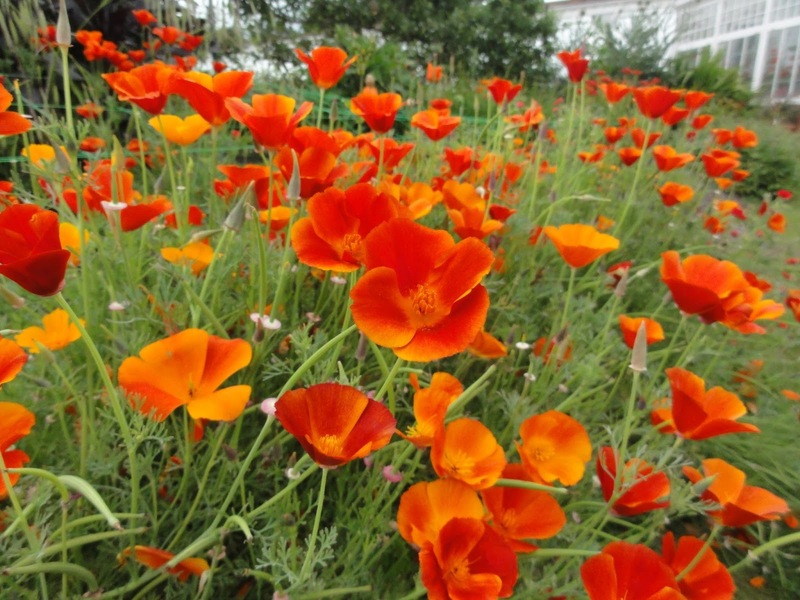 The grapevine and the Californian poppies are fabulous. 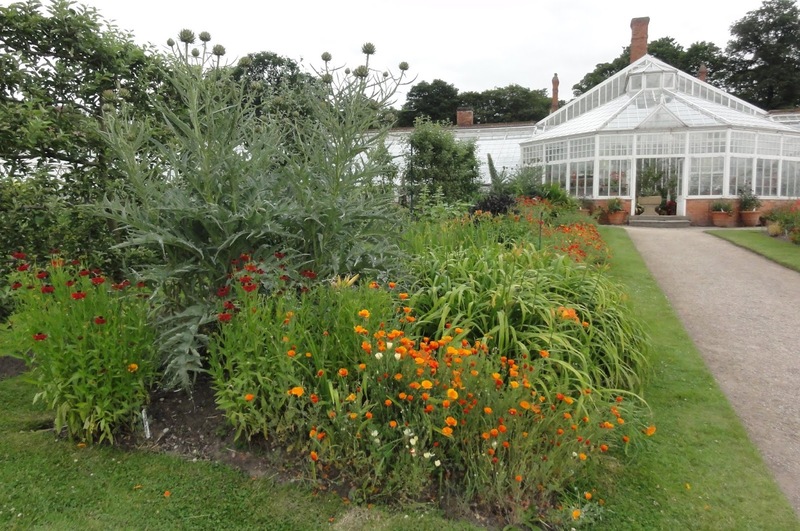 The Echium is quite common down here in gardens by the sea. 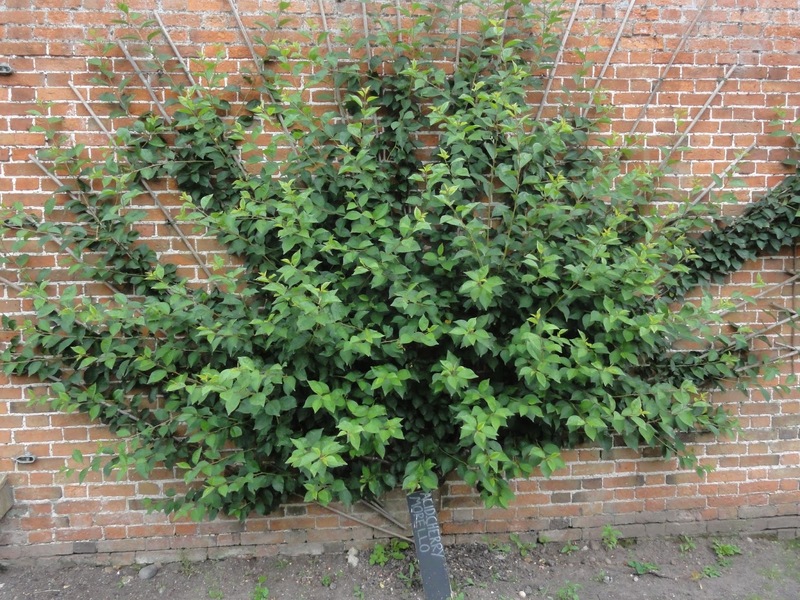 It isn't hardy so I imagine that the one you saw would have to be brought in for the winter.